Wide and stable hull design, Twin Plating at chine, non-skid anti glare interior paint finish, Aluminum clad transom, Bulkhead center seat and bow bench seat. Fits into your truck bed! ..........Package with Mercury Outboard motor 5m 4 stroke $ 4790.00...Yacht Club 1610 BG galv Trailer add $1295.00 plus Hst. 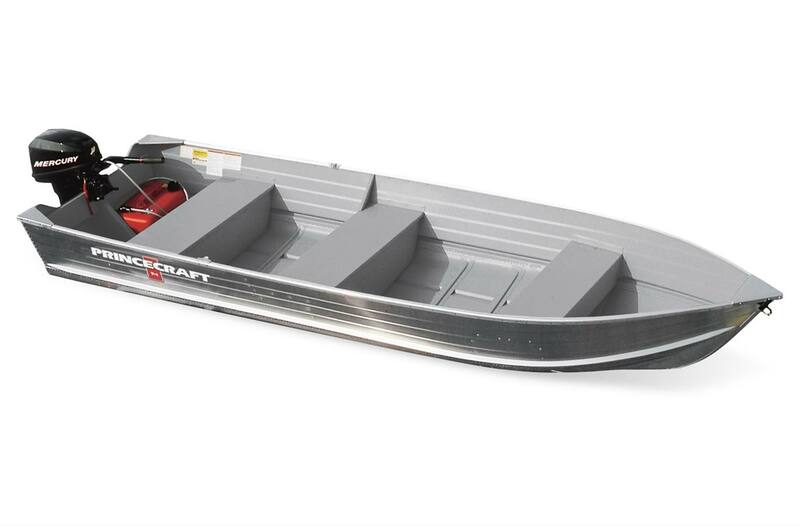 This 14'-4" aluminum utility boat can handle an outboard engine ranging from 2.5 to 15 HP and hold up to 3 people (4 in the USA). It is lightweight and compact and built to let you enjoy years of satisfaction.